Rockin’ Oysters is a mid-North Coast oyster farm that has been in operation since 2009. 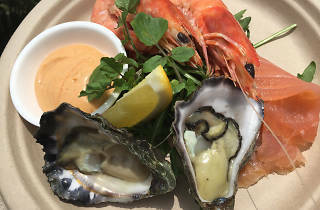 Recently, owner James Wood had a revelation: why not bring his award-winning oysters and other seafood directly to customers in the big smoke? And so the Shuck Truck was born, selling fresh and cooked oysters, scallops, mussels, prawns and octopus. The Shuck Truck aims to create a farm-to-plate experience and support local and organic produce both for seafood and the fruit and vegetable components of the dishes. Part of the truck’s design is a dry shucking bay so customers can see the process of preparing the oysters. 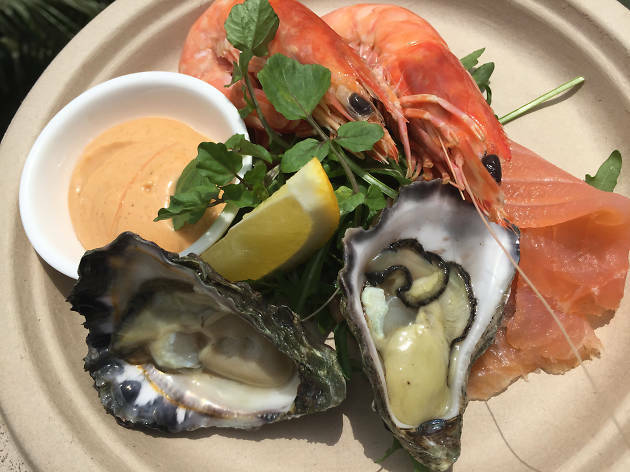 The Shuck Truck is available to book for events – get in contact through the website.